A sunny and warm autumn afternoon was the perfect day to visit the Zeber-Martell Gallery. The sun was shining through the giant windows, reflecting rays of orange, yellow, and green off of the brilliant pieces of art showcased in the gallery. We can thank our local artists for providing the city of Akron with this kind of vibrancy. 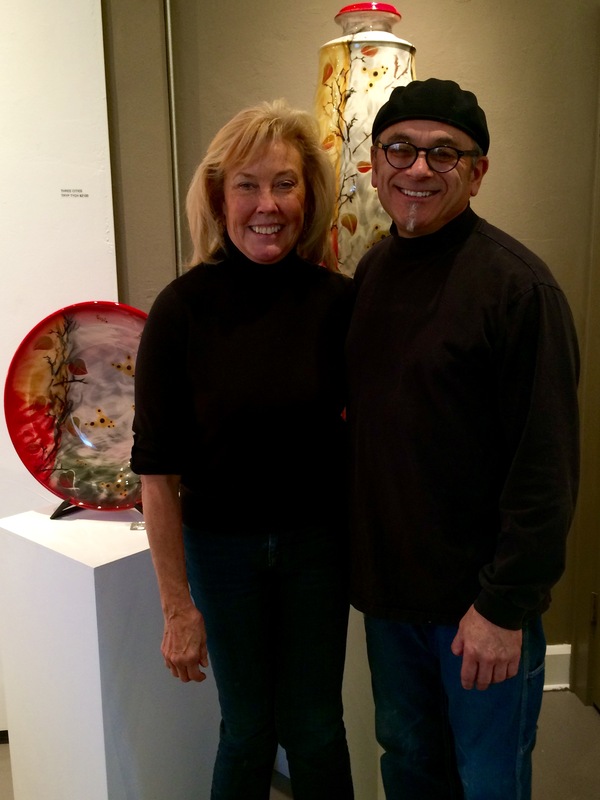 Michael Martell and Claudia Zeber-Martell are the hearts and souls of this business. In 1975, the gallery was born in Spicer Town on the corner of Spicer and Exchange Streets. That was the era of boutiques, leather shops and record stores. The gallery outgrew itself and found a new home, after a few temporary spaces, in their current location in the Northside District next to Luigi’s and since, the gallery has not stopped growing. At the time, all that was in the small area was Luigi’s, which was only open at night. The district has since then given birth to the Northside Lofts, Jilly’s Music Room, Akron Glass Works, Palladian Palette and the Akron Symphony Orchestra. This area has simply become a cultural outburst. Before opening a retail gallery, traveling used to be a big part of Michael and Claudia’s art lifestyle. They would travel to various shows around the country, sell their pieces, and come home to make more. But recently, traveling has become much less frequent in order to focus on the downtown gallery. The one show that they do keep close to their hearts is the Boston Mills Artfest each summer in order to stay close with their demographic of patrons who enjoy the artistic lifestyle. Claudia and Michael are the torch-bearers of this business but they do bring in pieces from other artists as well. About 60% of the pieces are made by Michael and Claudia. Because of the large space, they sell pieces of 15 other artists in the gallery. Inspired by British studio potters, Michael taps into his aesthetic by following the strong sense of functionality he adopted from British studio potters. Claudia’s main focus is the painting of the artwork. 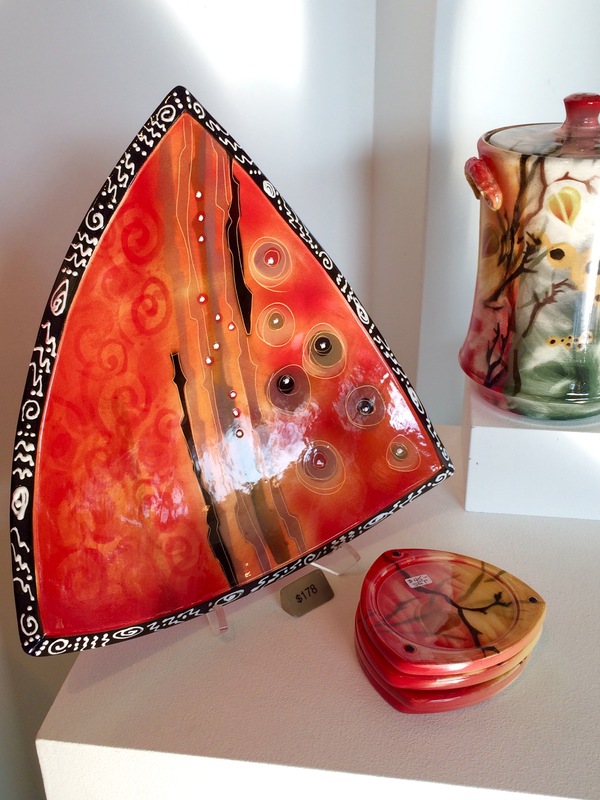 In the past, she used acrylics to decorate the pottery but now uses glazes and stains. When breaking down the studio duties, Michael does the making and Claudia does the decorating. Even though this is the normal case, both of them can do any aspect of the creation of the pottery in order to keep the business thriving. To help with the daily duties of the business, Michael and Claudia have three part-time employees to assist them through a variety of tasks. Michael and Claudia do the conceptual work and some of their employees do some assembling of jewelry, as well as casting, fabricating, cleaning, smoothing, and other preparation in order to fire the pottery pieces. This help is especially important during the holiday season when Christmas ornaments are in high demand. One would think that he has been doing this since he was born, but Michael did not have any art training until college. He graduated from the University of Akron with a degree in ceramics and graphic design, as well as a graduate degree in Arts Administration. Pottery is his main expertise but his graphic design skills help him with the business and marketing side of things, such as making e-blasts and flyers. In order to show support for small businesses and local artists, be sure to mark your calendar on November 28 for two reasons. This is Small Business Saturday, as well as Zeber-Martell’s Holiday Open House. Michael and Claudia would love to see anyone drop by for this special event. Additionally, Saturday, December 5 is the monthly Artwalk. 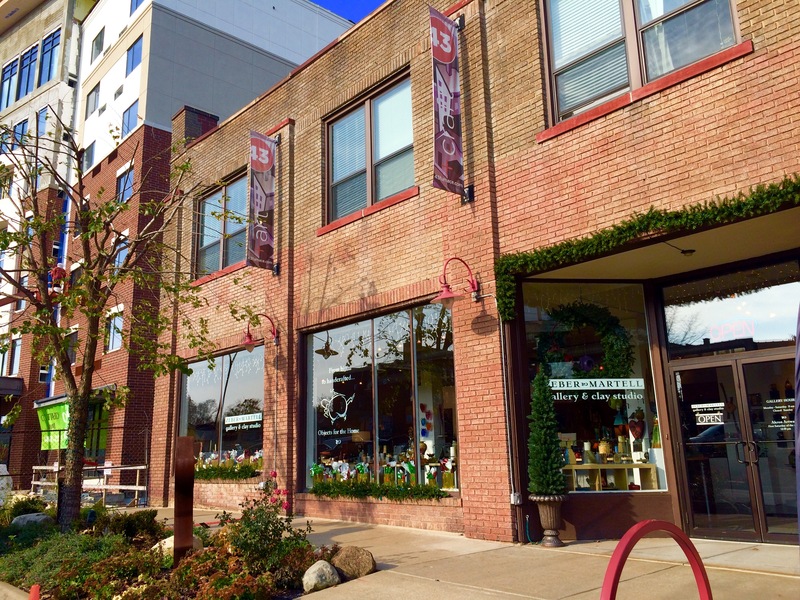 Drop by the gallery to do more of your holiday shopping in Downtown Akron’s art district and check out some of the dining experiences around town throughout your night!